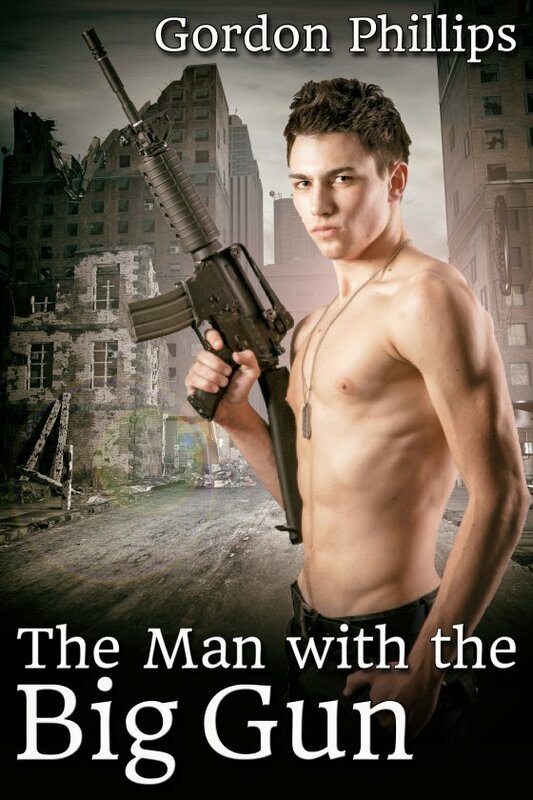 The Man with the Big Gun by Gordon Phillips is now available! Rick’s first words as he pulls Henry feet-first out of the rubble were an expression of such gentle concern that they melt Henry’s heart. But then Rick turns him over and realizes he’s a guy. The two are alone in the deserted underground passages of the downtown core, the city above in ruins due to a nuclear near miss that destroyed the power grid and fried all electronic equipment. Yet all Henry can think about is his burning desire to hear that tone in Rick’s voice again. He knew that isn’t likely to happen. Rick is obviously straight, a survivalist, big, obviously capable, and built. Henry, on the other hand, doesn’t seem to bring much to the table. But Rick himself acknowledges two are better than one. So they team up. Their goal is to stay alive as they try to escape the city. It isn’t going to be easy, but there’s a growing sense of connection between them, feelings that challenge the dark desperateness of their situation. Can love flower in a new and brutal world ruled by survival of the fittest?